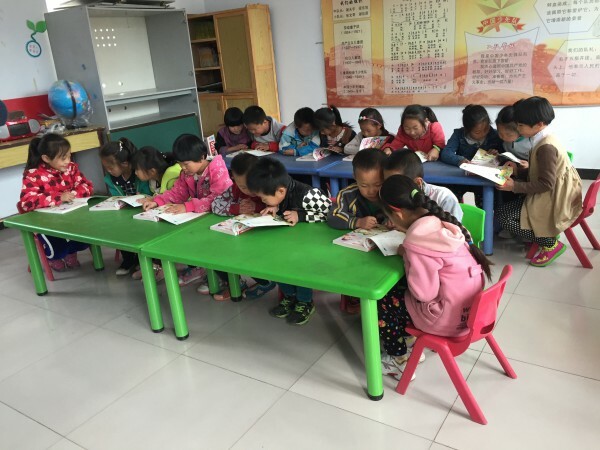 The You Ying Elementary School located in rural Hebei, China received a library easier this week. This school has just 65 students attending kindergarten and grades 1-2. The four teachers at this small school received a Librarian rating Course on how to manage and use their new library. Literacy programs were conducted with the students to get them excited about their new library and reading. United Technologies Corp. (UTC) made a generous financial donation in support of this library.